We are located in a USDA Service Center. Our core partners are the USDA Farm Service Agency and USDA Natural Resources Conservation Service. Being co-located with these federal agencies allows us to help local resource users access federal expertise and programs! We partner with watershed councils like the Clackamas River Basin Council because by working together we can achieve far more than by working alone. 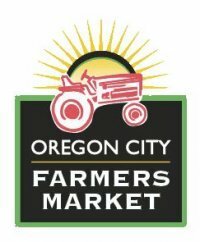 We partner with farmers markets like the Oregon City Farmers Market because helping local farmers sell their products means profits that can be used to better manage soil resources and keep valuable farmland from being lost to development. We partner with a variety of non-governmental organizations where their missions coincide with our goals. We partner with several governmental entities to help achieve more effective conservation of our natural resources. Most importantly, we partner with private landowners. These landowners are stewards of resources that affect many people and creatures. Few other agencies have authority like ours to provide direct assistance on private lands! Be sure to check out our list of active partners!